Elsevier today announced that it has garnered top honors and recognition at the 2011 American Publishers Awards for Professional and Scholarly Excellence (the PROSE Awards). 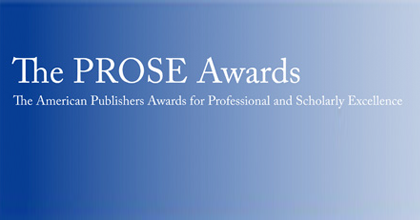 The annual PROSE Awards, established by the Association of American Publishers (AAP), recognizes high standards in achievement and innovation in professional and scholarly publishing by giving distinction to the best books, journals, and electronic content, as judged by peer publishers, librarians, and medical professionals. SciVerse Hub, Elsevier’s platform for search, analysis and research synthesis, and SciVerse Applications, tools that enhance the search and discovery experience, received awards for Best Multidiscipline Platform and for Best Innovation in ePublishing. Clinical Medicine: Diagnostic Imaging for the Emergency Physician, by Joshua S. Broder, MD, FACEP. Multivolume Reference/Humanities & Social Sciences: Encyclopedia of Adolescence, Editors-in-Chief: B. Bradford Brown and Mitchell J. Prinstein. Multivolume Reference/Science: Encyclopedia of Fish Physiology, by Anthony P. Farrell. Art Technique: Tradigital Blender: A CG Animator’s Guide to Applying the Classic Principles, by Roland Hess. Clinical Medicine: Imaging Painful Spine Disorders, by Leo F. Czervionke MD and Douglas S. Fenton MD. Economics: Handbook of the Economics of Education, Volume 4. Edited by Erik A. Hanushek, Stephen J. Machin, and Ludger Woessmann. Recipients of the 2011 PROSE Awards were announced at the Awards Luncheon on February 2, 2012 in Washington, D.C. A full list of winners can be found at www.proseawards.com.